Brag Shots is new daily recount of how some instagram shots have come to be. The planning or lack of planning for shots we or you have deemed worthy of a feature for the world to see. Tell us how you envisioned your shot and we’ll share the methods to our madness; a madness best understood and a point of view most appreciated by a fellow sneaker lover. 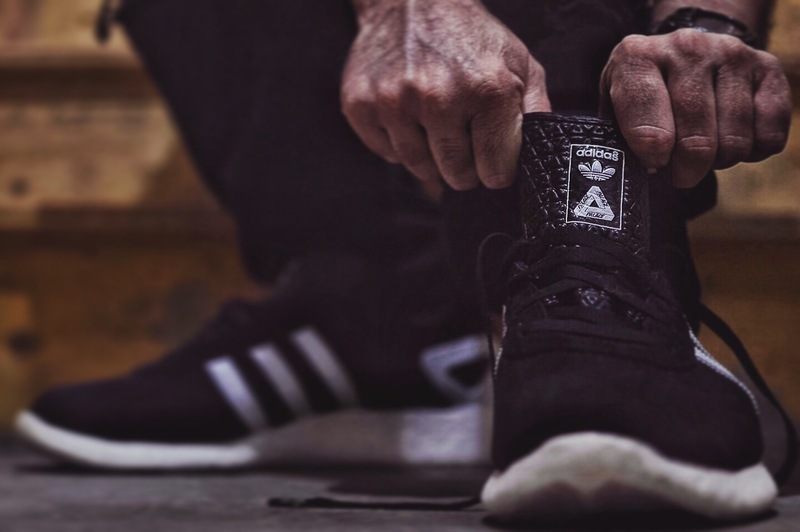 I knew I wasn’t going anywhere with a dramatic back drop when I chose my footwear for the day, I also knew I wanted to showcase the fact that I was lacing up the adidas and Palace pro boost collab, and BOOM, a shot of the tongue branding while I laced them! This is by no means my first lace up shot, but I actually think it is my first tongue pull haha. Sometimes you don’t need more than the shoes you’re wearing to get the shot you want.